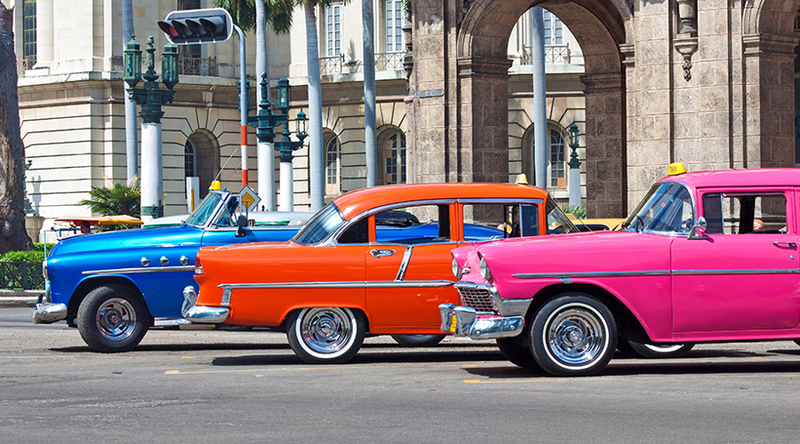 Whilst in and around Havana there is probably little point in hiring a car because there is so much about the City that you can only see on foot and taxis are plentiful when you need one. But you will surely want to cruise around the city in a classic car and there are a number of ways you can achieve this … with a driver of course. But if you really want to get around the country, car hire is undoubtedly the best option. The Cuban landscape is quite dramatic, right across the Sierra Maestra mountains, where the revolution took root, and onto all the other historic towns such as Trinidad, Bayamo and Baracoa. First thing, get a good map. The Guia Carretera is as good as any and it also shows most of the gas stations along the road, which is an important consideration as there may not be another one for the next 50 km. So be sure to keep the tank filled up. Also be sure you understand the conditions attached to your rental. It is common practice to charge you for a full tank in advance and you can return it with the tank empty, if you want to take the risk. With gas stations often few and far between, it is easy to get caught out. Then there is often a requirement for mandatory risk insurance, prepaid on your credit card regardless of whether you have your own travel cover from home. The local firms will say that is can be difficult for them to get money from foreign insurance companies so if you want the car, you have to pay up.